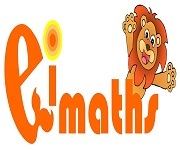 Originated and developed in Singapore by a team of experienced practitioners, eiMaths is not to be mistaken as just another Maths program in the local scene. Closely following the MOE syllabus, and through years of experience gaining a deep understanding of the difficulties faced by children when studying Mathematics in school, our programs build on a step by step approach, utilizing a personalized and spiral learning system, guaranteed to build, sustain and grow children’s confidence & interest in Maths and challenge themselves to achieve greater heights. You can make a difference with better teaching methods. With our unique methods and tools, you can be part of our team to aspire students to greater heights in the learning of Mathematics. Our Franchisees are educators who love children and have great passion for teaching. They must share our vision and belief in making a difference in student’s educational lives. We provide training and business model for all our dedicated franchisees. 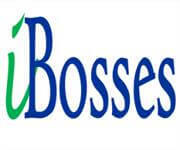 Contact us if You wants to be your own BOSS! Congratulations to our P6 boy Fong Meng from eiMaths Toa Payoh for an excellence performance in his prelim. To score 96 marks at P6 is not an easy task! Keep up the good work and do your best in the coming PSLE! I enjoyed learning in eiMaths class on Monday because I enjoyed playing the tools after my work. All teachers are kind and gentle to all the kids. eiMaths provides a learning environment for Jeanette to learnt maths at her own comfortable pace and the result proved to be excellent. My kids Isaac and Ian Tan started eiMaths at ages 5 and 7. eiMaths problems are challenging but not boring or repetitive, it’s enjoyable & really helpful for the kids to grasp maths concepts and understanding. My older boy consistently performs well in his school maths and I’ve never had to worry about his maths homework and tests. After attending the course Shreya was able to do test well and with more confident now. My son got great improvement in result since he joined eiMaths. The teaching material are sufficient for my son to score well in his exams. Is good to have a teacher like Mrs Jazsintha. She is a responsible and patient teacher. Macy had provided fantastic guidance to my son. She is very patient and made sure my son excel in his maths problem sums. The current curriculum help a lot in his problem sum in the school exam. I have decided to enroll Alden in eiMaths because he showed little interest and lack of understanding in maths so we hope eiMaths would be able to encourage him to be more enthusiastic about maths. 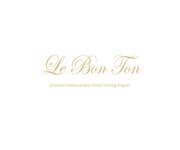 We are delighted that over a period of six months he showed signs of improvement while enjoying the subject some time. I thank teacher Macy for her patience and understanding towards Alden’s learning. Helping my son overcome the difficulties he previously endure whilst learning mathematics. He has improved a lot since joining this class. He is beginning to understand many maths concept. It will be useful when he starts P1 next year.